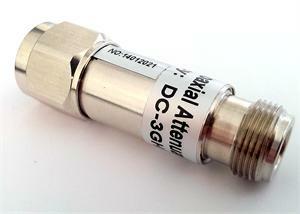 The Surecall SC-ATNR-5 is a 5 watt, 5dB attenuator that will operate from DC to 3 GHz. Attenuators are used in a wide variety of applications and can satisfy almost any requirement where a reduction in power is needed. Attenuators are used to extend the dynamic range of devices such as power meters and amplifiers, reduce signal levels to detectors, match circuits and are used daily in lab applications to aid in product design. Our boosters work best with an outside signal of between -90dB and -65dB, but if the signal is better than -65dB, you can use one or more of these RF Attenuators to reduce the amount of decibels entering the booster and prevent a possible AGC overload. 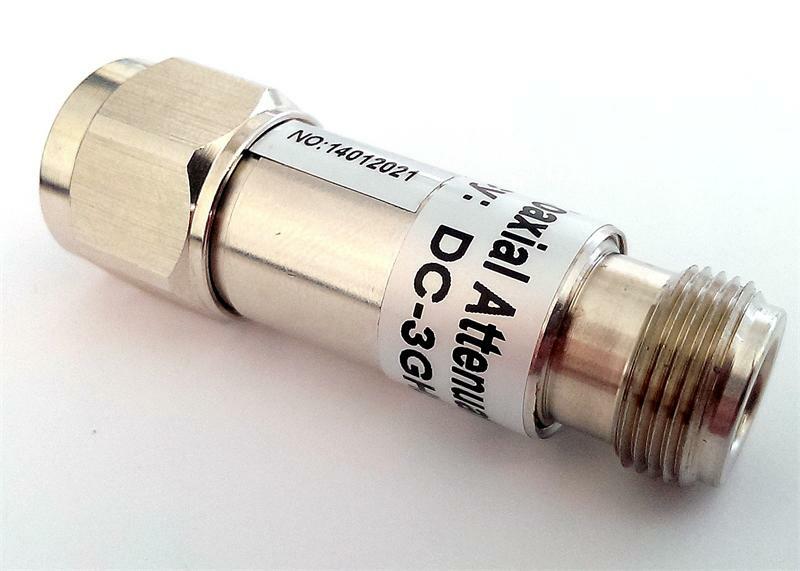 We have started carrying these attenuators for end user and reseller convenience and offer them in three strengths: 5dB, 10dB and 20dB. You are able to group these attenuators together to attenuate as many decibels as you would like.